I got in another two Battle Roads this weekend and in my typical tradition for Battle Roads, I played two different decks. For the first tournament, I played Cinccino City, as I said I would, and went 1-4 for pretty much my worst tournament ever. I just couldn’t hit a string of Smooth Coat flips in any of my games, and the deck falls apart if it can’t string that together at least once or twice in a game. It was still a pretty satisfying tournament experience, and the deck setup every game, my Cinccino’s just couldn’t stay alive long enough. For the second tournament, I wanted to continue my testing of what I consider to be the best meta decks, so I chose to go with Blastoise, one of my favorites. This isn’t an optimal list by any means. I would like to add at least one more Tropical Beach, but probably 2 more would be ideal. The one concern I have right now is that I am playing too many Pokemon, and would like to find room to cut them some to fit in a few more Trainers. The most obvious cut is going to be from my non-EX attackers. I think Black Kyurem will probably get the cut first, as Rayquaza/Eelektrik is seeing a great decrease in play, and Kyurem PLF is easier to power up to counter Sigilyph DRX. Black Kyurem is more durable against Klinklang, but I don’t foresee that getting much play come Nationals. 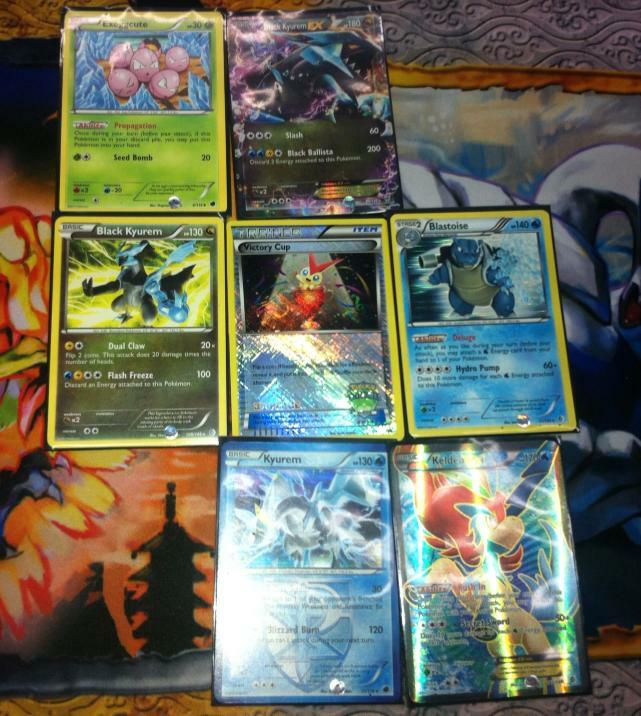 3 Keldeo EX/2 Black Kyurem EX seems like the right split of these guys. 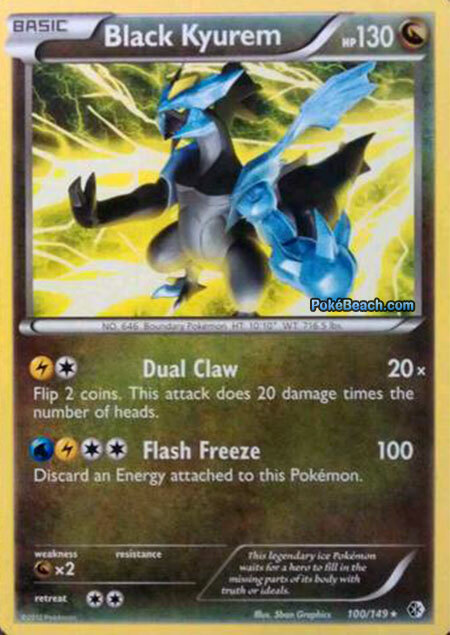 You want multiple Keldeo EX on your field generally to work around any locks, and you want more than one Black Kyurem EX because it’s the strongest card in the format. Exeggcute would become the most logical cut after that. The positives? Once it is in your discard, you can do so much more with your hands. 9 of the 16 Item cards I use in the deck involve a discard, so it is easy to see why being able to discard only one card let’s you do so much more with your hands. Additionally, off of a 1-card N, you can use Superior Energy Retrieval or Dowsing Machine, which is pretty strong. 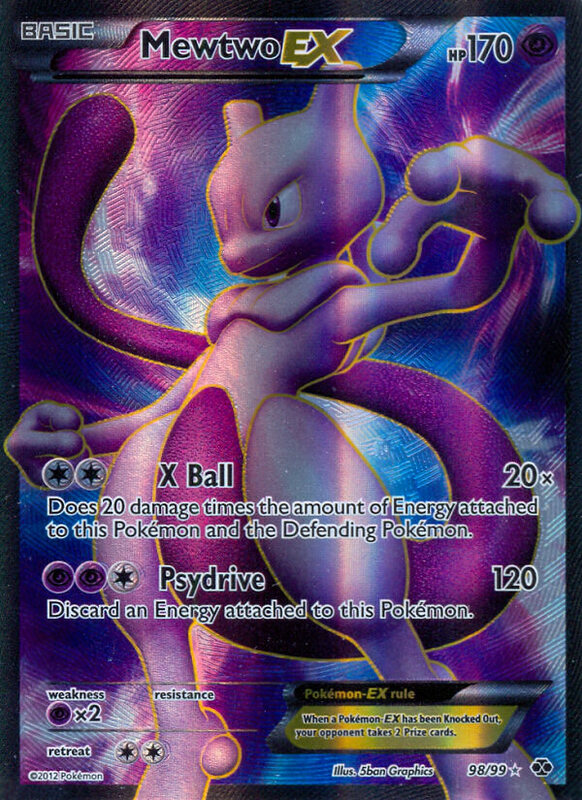 On the flipside, just forgoing Exeggcute for another card may be the better decision. It gives you another spot in the deck to add something else in, and having to discard two cards every time isn’t necessarily bad as it lets you trim a lot of fat cards in the deck to setup a stronger late game presence after an N.
One card will definitely be cut before Nationals to make room for Super Rod, which I greatly missed in the deck this weekend. I struggled to get multiple Blastoise out in a single game, and I think not playing Super Rod played a large role in that. It’s also great for putting Energy in your deck before using a late game Colress or Juniper. So in the end, I will probably cut a Black Kyurem for Super Rod, and an N for a second Tropical Beach, and I think that will be a list I will be comfortable taking to a tournament like Nationals. I might work on finding something else to cut for a third Tropical Beach as well, but not sure how much the third one is needed. If I opt for 3 Tropical Beach, Exeggcute probably gets the cut. As far as the tournament goes, we had enough Masters for a 5 round tournament. As silly as this deck might seem, it’s not the best matchup ever for Blastoise as the deck relies heavily on EX’s. Luckily I started Kyurem PLF, and worked on setting that up early in the game. My focus against the deck was to knock out all the Raticate lines to eliminate the OHKO threat, and after that I felt the matchup was heavily in Blastoise’s favor. I think he ultimately took 4 prizes against me. He knocked out my Blastoise first, leaving me with no Blastoise on the field. I got enough energy on my Kyurem to knockout his Raticate, which was responded to with a knockout by Raticate. Then he was able to knockout a Keldeo EX I powered up to attack. From there I setup another Keldeo EX, which knocked out his last Raticate line, and from there, he had a Supporter drought, and I was able to just take knockouts with Keldeo EX’s. After I was out of catcher, he promoted Tornadus EX, which was at 210 HP with Aspertia City Gym and Giant Cape. I was able to knock it out by putting all of the Water Energy in my deck on Keldeo EX and attacked it with Secret Sword. This was the deck John Roberts played the day before to first place, and it was one of the reasons I thought Blastoise would be a good play for today. This list was a little bit different from John’s, and the player would still end up getting 4th, which shows that the deck is good. Still, I don’t see what the deck can really do against Blastoise as Black Kyurem EX knocks out all their EX’s easily, Keldeo EX hits Landorus EX for weakness, and nothing really shows much of a OHKO threat in the deck against the pair giving Blastoise a major advantage. Pretty much the way the game went was I knocked out a bunch of Cobalion EX with Black Ballista, knocked out his Sigilyph with either Blastoise or Kyurem, and from there was just in control of the game. This round I am playing against Colin, who brought a Gardevoir deck to the tournament, how interesting. I don’t think this is a bad matchup necessarily for Blastoise, but it seems about 50/50, with maybe a bit of an advantage to Blastoise just because it only needs to focus on setting up Blastoise as far as Stage 2’s go, while this deck needs to setup multiple Stage 2’s to be effective. Colin gets a turn 2 Gardevoir, and hits my active Keldeo EX for 60 and then 100 with X-Ball. On my turn 3, I do get Blastoise into play, but am unable to get the Energy I want to knockout his Mewtwo EX and have to settle for hitting his Mewtwo EX for 110. 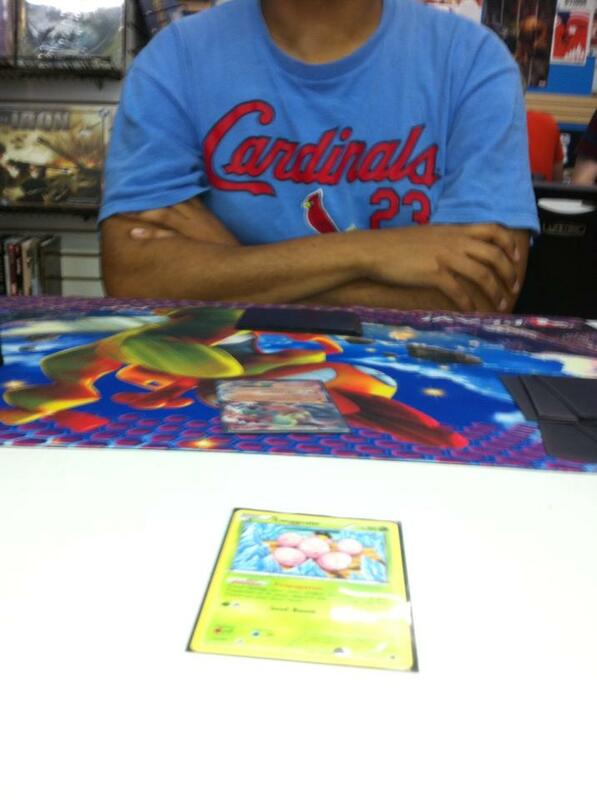 He knocked out my Keldeo EX, and the Secret Sword setup a knockout with my Black Kyurem EX with Slash for 60. I think he brings up Sigilyph DRX to wall while he Tropical Beach’s to try to setup Gallade. I catcher his Mewtwo EX and use Black Ballista to knock it out. From there, he responds with Gallade, knocking out my Black Kyurem EX. I use a Superior Energy Retrieval to setup a Keldeo EX with five Energy to knock out his Gallade, and spread two Energy to my benched Kyurem to get it ready to knockout his Sigilyph. He hits my Keldeo EX with Sigilyph for 100 damage. All I have is N, so I use it to try to get the catcher or last Water Energy to knockout his Siglyph, but get neither and retreat my Keldeo EX and use Tropical Beach. He gets Skyla off the 2-card N, and is able to search out the game winning Pokemon Catcher. Interesting note, this was the only game I didn’t get Exeggcute into the discard pile. If I had Exeggcute in the discard pile, I would have been able to play my hand in a way the turn I setup the 5 Energy Keldeo to get a third Energy on Kyurem to ensure victory. This time around I am actually playing John Roberts with his own deck. Feels good when you pick a deck choice to counter Big Basics, which has been gaining in popularity in various forms, and you get to play the deck multiple times in a tournament. I am feeling good about my ability to meta game much more than I had been able to in the past. Anyways, I start lone Exeggcute, which is bad news against a Landorus deck, but I win the coin flip and get to go first. I Ultra Ball for a Keldeo EX and attach a Water. In the past, I would always go for the Squirtle first, but against Landorus decks, getting Keldeo powered up, even if you have to manually attach to set it up will generally be the right move against Landorus decks. Unfortunately, I got Blastoise out very slowly this game as I couldn’t hit a Squirtle until a few turns into the game. 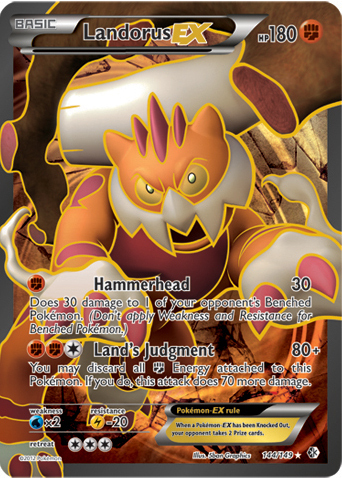 He hammerheads my Exeggcute on turn one, as well as Keldeo EX to take a prize. I just continue manually attaching to Keldeo EX, and on turn 3 use Secret Sword for a knockout. On the next turn I am able to Secret Sword again for another KO on a Landorus EX after using a Pokemon Catcher. John was never able to get anything going. He didn’t supporter drought per se, but the only Supporter he was drawing was Ghetsis, and I think he Ghetsis’ me for 2 one turn, and 0 the next which is really bad. Ghetsis isn’t going to be very effective against Blastoise as it only plays 16 Item cards, and putting Rare Candy and stuff back in the deck generally helps the Blastoise deck. To end the game, I think I used Black Ballista on either a Mewtwo EX or Cobalion EX for game. This game was rather simple. I hit his Keldeo EX for 110 damage on turn 2, as I didn’t get the Energy to do much else. From there, I dropped a Black Kyurem EX and Black Ballista’d his Darkrai EX with Energy for my first two prizes. The next turn, I used Black Ballista on his other Darkrai EX for prizes 3-4. Then I used Black Ballista on a third Darkrai EX for game. Black Ballista is really freaking good. In the end I finished at 4-1, and there were four other 4-1’s in this tournament. It was a weird tournament on this end, as a lot of the results just came down to the random pairings with the last round. If I got paired against the undefeated, I could have gotten first, but I got downpaired which brought me down to 3rd. The top 4 consisted of two Plasma decks, my Blastoise, and the Electrode/Big Basics deck. The other 4-1 was Gothitelle/Accelgor. Overall, I am really happy with how Blastoise performed for me. More so than any other tournament, I felt like I was playing the BDIF. I am pretty well settled on Blastoise being my play for US Nationals, as the deck has pretty favorable matchups against Big Basics, Team Plasma, and Darkrai stuff if you know what you’re doing. It’s bad matchups, Rayquaza/Eelektrik, Garbodor, and Klinklang have been disappearing quickly from the meta game. It’s Gothitelle/Accelgor matchup basically comes down to whoever gets their Stage 2 out first, which is more than a lot of decks could ask for. I’ll be attending two Battle Roads next weekend. I think I will play Blastoise for one of them, and I really want to try out Colin’s Gardevoir deck as well, it seems fun and worth testing.